As far as life ambitions go, searching for the ultimate fruit loaf to create the perfect wedge of spicy, fruity toast to feast on is probably not my most noble. But how much better is life with some food inspiration to get out of bed on cold, wintry mornings? Is there a more delicious way to wake up than butter sinking into a freshly toasted fruit loaf, ready to be washed down with a freshly brewed cup of chai? It spells cosy Sunday mornings for me and my Sundays just got a whole lot brighter with the addition of Sorganic Sourdough Bakers to Rokeby Road in Subiaco. The rustic look of Sorganic, with wrought iron and copper lining the exposed brick walls, is the perfect background to the wood-fired loaves being created there. 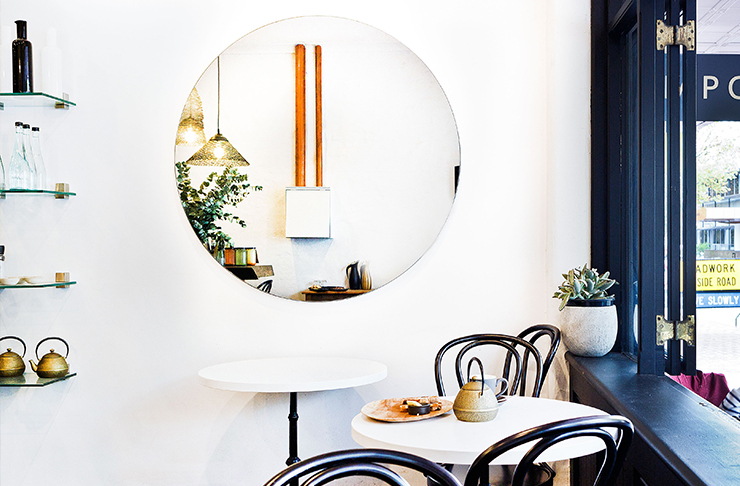 The cafe that fronts the space is warm and welcoming, matching the owner’s personality as he greets guests like old friends and encourages taste tests of the crusty loaves on offer. The artisanal bread is made from a 30-year-old organic sourdough mother, which ferments the bread and provides its unique taste. The traditional white sourdough’s bite is spot on, but it was the fruit loaf that had me excited and dreaming about the next morning’s breakfast. The sourdough base creates a chewy, dense centre that’s studded with sticky apricots, figs and plump raisins, all surrounded by the crunch of a perfectly wood-fired crust. This life ambition of mine seems to have been founded—one less on the bucket list, 137-ish to go. While you’re visiting for your own loaf of fruity perfection, the cafe is doling out good coffee and baked in-house banana bread, muffins and scones (you get two scones per serve—winning). The lunchtime crowd will be well fed with the sourdough-based pizzas laden with tasty toppings and sandwiches bursting with colourful fillings. If you’re dining in, you can either park up at the people-watching tables at the front of the cafe or grab the other ‘window’ seats at the back, where you can peer through the looking glass into the bakery where the magic happens.